We always see drawings of skulls smoking cigarettes and graphic, Photoshopped pictures of people whose faces and bodies have become severely damaged from smoking cigarettes. These drawings are usually the works of environmentalists and companies that are on a marketing campaign for their health products. They seem to be exaggerating … But are they? Here are the more scientific explanations on the message they have been trying to convey for years and how you can keep yourself from becoming their next model. When you light up a cigarette, it creates a combustion. The combustion contains carcinogens and other toxins. When you inhale the smoke from the cigarette, you inhale the combustion and its contents also. Your respiratory system is designed to get rid of harmful chemicals, and the toxins in your first cigarette are quickly put under control by your body. Your cigarette also contains nicotine, though. Nicotine is an addictive chemical that makes you want to use another cigarette, and another cigarette, and so on. Over time, your respiratory system becomes unable to keep up with the huge amount of toxins that enter it. Some of these toxins become stuck inside your body, blocking pathways and injuring your insides to ruin the normal function of your body. The injuries cigarette smoke creates inside your lungs and airways lead to disorders like bronchitis, chronic obstructive pulmonary disease, emphysema, and lung cancer. The toxins you get from cigarettes spread through your body, reaching your brain. They mess with the natural chemicals of your body, such as serotonin. They make you prone to depression. They also make the barriers of your body weak enough to make way for inflammation that lead to Alzheimer's disease, Parkinson's disease, and other mental disorders. By giving you multiple health problems, cigarettes bring the possibility of you dying an early death. In certain cases, the mayhem brought about by cigarettes doesn't end in your death. Some of the physical defects you get from cigarettes get passed down to your children. When they grow up, they develop respiratory problems even when they do not smoke cigarettes. Their condition will get worse if they inhale secondhand smoke. The toxins also mess up your DNA. Aside from the effects of cigarettes on your genes, simply smoking while pregnant or smoking around pregnant women increases the chances of infants dying from infant death syndrome. It's when a baby dies a few months after it is born. If quitting smoking is still too hard for you after reading all of these, turn to e-cigarettes. E-cigarettes are small devices that come in a wide variety of sizes. They have a few buttons and small, adjustable mechanisms. They produce smoke that you can inhale. To use an e-cigarette, you have to put a small bottle of e-juice inside it and switch on the device. E-juice come in a variety of flavors, including tobacco e-juice. Some e-juices do not have nicotine. The smoke that e-cigarettes produce smells good. A study was done in February 2017 confirming that e-cigarettes have far less long-term effects on the health and life expectancy of their smokers. E-cigarettes do not have to be lit up to be used, so they do not have the combustion found in ordinary cigarettes. E-cigarettes do not have the carcinogens and toxins that cause multiple health defects. They also do not endanger the lives of children around you. Just make sure to store your bottles of e-juice far from children and pets because the nicotine inside the bottles is harmful. E-cigarettes are recommended for people who are trying to quit their habit of regular smoking cigarettes. E-cigarettes are effective because the action required to use them is the same as smoking a regular cigarette and they give you the same dose of nicotine. E-cigarettes help a lot of smokers because smokers get to stop inhaling the toxins of regular cigarettes without feeling like they lost something. People who use e-cigarettes are healthier than people who still use regular cigarettes. 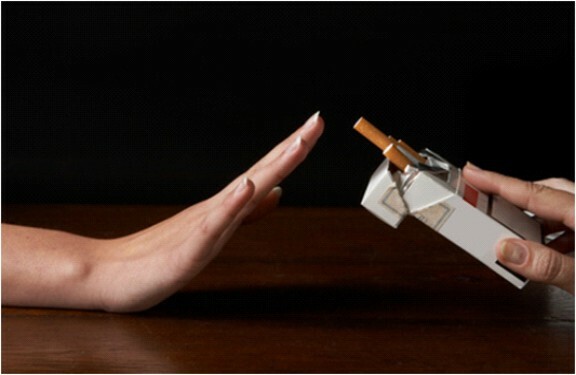 If you want to become healthier by switching to e-cigarettes, make sure to quit regular cigarettes completely. Using e-cigarettes while still smoking regular cigarettes has been observed to make no change in the health of smokers.